Maptive’s route planner allows you to effortlessly map out the most efficient path between locations, even if you have multiple stops to make on your journey. In a matter of clicks, our route planner will provide you with a customized, detailed map that will get you from A to B (to C to D to Z) as painlessly as possible. With minimal effort, you get to look as though you have superhuman powers of productivity. What does this efficiency elixir offer? Let’s map it out. Find distances and projected travel time between locations. Optimize your route so that you do not waste unnecessary time traveling unneeded miles. 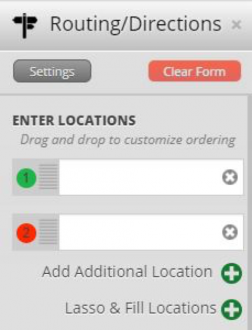 Change the order of your route with a simple drag and drop function. Plot multiple direction instances for different scenarios. Export your route to file in the form of an Excel spreadsheet. Here’s the deal. You focus on the meetings you have to have, and we’ll make sure you get to them in the most efficient way possible. Your blood pressure will thank you — as will the scads of gas station workers who spend the better part of their days telling people to go back in the direction they came from. Our software was built to handle data sets of any size—whether you're mapping 10 locations or 100,000. Maptive is powered by Google's enterprise level mapping technology so our customers can expect global coverage, world class tools, and unmatched performance. With Maptive, you get to decide how you want to display and share your map. Maps can be shared privately with specific individuals, published publicly to the web, embedded within a webpage or blog using simple HTML code, or printed. We give our users access to all the customization and editing tools needed in order to create beautiful, customized maps that can be used to educate, inform, assist, or persuade others. Other mapping tools are cumbersome, complicated, or expensive to use. Our elegant software was designed to make mapping simple and fast for everyone—no matter their skill level. The Hallelujah Chorus was playing in my head. 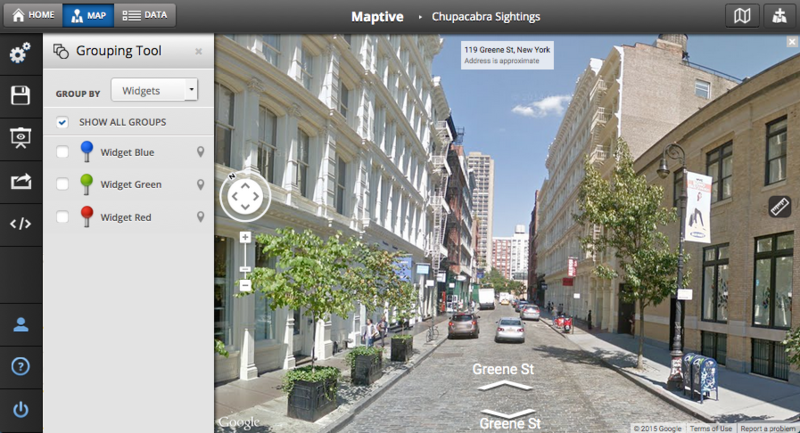 Maptive Plus is everything we wished we had when we started down this road. 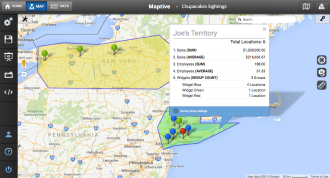 Maptive helps us see the bigger picture. True insight and understanding of our data is vital to our success. Thanks for a great product. 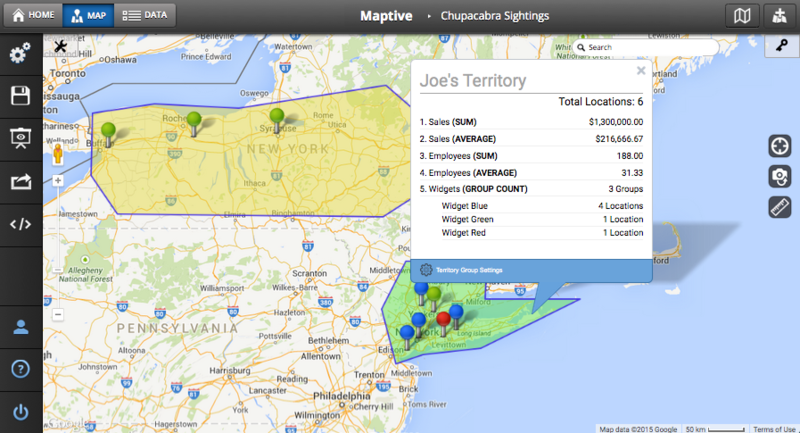 I have used several mapping tools, and Maptive is by far the most user-friendly and most comprehensive tool available. Your Maps have become part of that plan in the form of Visual Data, Priceless! We use them in Logistics, Project Tracking, Scheduling and the list goes on. You guys Rock and have become great Partners! Maptive has proven extremely useful in helping understand how our leaders are distributed globally in order to reduce travel costs, reduce our impact on the environment and reduce unnecessary travel times. 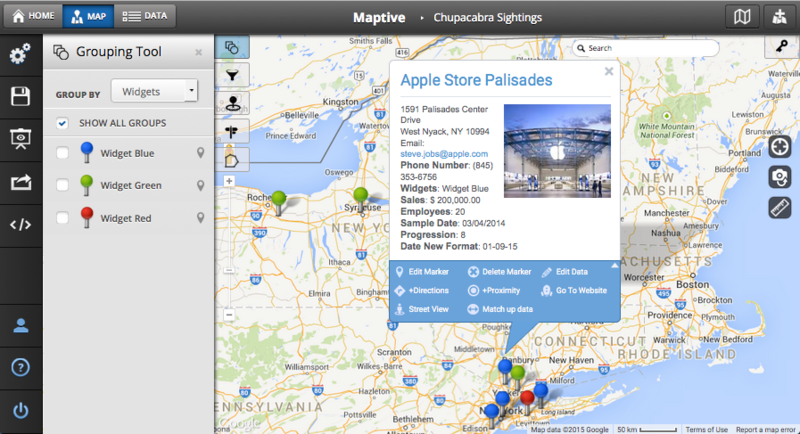 Maptive helps us drastically with compliance, marketing and itinerary planning. 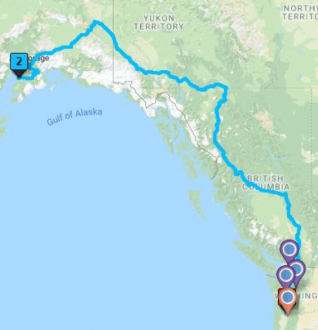 Maptive’s route planning tool works together with Google Maps to deliver a comprehensive navigational service that is intuitive and fully customizable to the needs of each user. It’s no secret that Google Maps has changed the way we navigate. This report by Statista shows that Google Maps boasts approximately 154.4 million unique monthly users, with the next most popular competitor app trailing far behind at 25.6 million users. You know the story — “Just Google Map it” has become an acceptable addendum to someone giving out a location you have to find. The next step in the evolution of user-friendly mapping technology is an integrative Google Map route planner — and that is exactly what Maptive offers you. We hear the skeptics in the back row. “But isn’t Google Maps already a route planner?” you asked with eyebrow raised. Yes, Google Maps can be your guiding light from A to B, and even allows you to enter in multiple locations, but that’s where its job stops and Maptive takes over. Maptive’s route planner takes the capabilities of Google Maps and adds the next crucial step — an optimization function. Quite simply, you don’t have to be the one drawing the lines between the dots. If Google Maps were the map and compass of yesteryear, then Maptive’s route planner would be the navigator who interpreted what to do with those tools. How does this work in practice? Let’s take a look. Miss Turn has been using Google Maps since it hit the market and, while this service made a huge difference in her life, she found herself wasting time figuring out which order to see her clients in on a busy day. She often ended up reprogramming her map between visits and manually weighing the pros and cons of each possible option. Since she has begun using a trip route planner, she doesn’t have to spend a single second pondering the question of whether she has decided to plan her day in the most efficient way possible. All she has to do it input her data, and the route planner does the rest. What’s more, when combined with other Maptive tools, as we shall see in a moment, she can quickly see which areas to focus her efforts on to lead to maximum conversions. Happy to have navigated your way to Maptive’s route planner? Follow us as we take you through how it works. We know. Seeing multiple clients on one journey can feel like the route of all evil, especially if you are attempting to navigate a new area. Since we love maps and you love a no-stress approach to navigation, our Google Maps route planner will let you focus on what you do best while we do the same. 2. Add all the locations you need to visit. 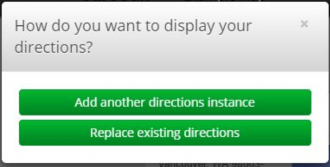 In the location window, click on the + sign adjacent to “Add Additional Location.” You then have the same options you had when selecting your starting location. You can use the Lasso and Fill Location option to draw a shape around all of the map locations you want to add to your route. There you have it. Your route perfectly visualized on your personal map. But that’s not where it ends. The next step is to make your route as efficient as possible. Replace existing directions, if your goal is to find the most efficient route. Select whichever option bests suits you and you’re ready to set out on your trip armed with a map that will guide you along the unique route you have to follow. 5. Use your map in whatever way suits you. 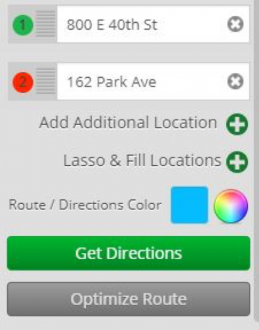 The route planner allows you the option to read your directions in the side panel, follow along on the map or employ additional Maptive tools to further customize how your journey is visualized. The details of your journey are clearly laid out, including information about the distances between one place and another, and the estimated time it will take you to get there. You have the option of exporting this data in the format of an Excel spreadsheet or printing it right from Maptive. Even if you’ve never nerded out on maps before, this kind of user-friendly customization will make anyone see the beauty in contemporary cartography. We have seen a range of people in various industries who have come to experience the route planner as a game changer when it comes to their productivity. From consultants who have multiple meetings in various locations over a short space of time, to film crews who have to plot out the most cost-effective way to fit multiple locations into one day, a multi-stop route planner can change the way you do business. And it doesn’t have to stop there. If you want to use your route planner for pleasure rather than business, we won’t tell anyone. Yes, that’s right. You could map out the road trip of a century, making sure to hit all the spots on your bucket list without wasting any time along the way. What’s more, the Route Planner works in conjunction with other tools in the Maptive kit. The Radius and Proximity tool allows you to easily select a radius of your chosen size around a given location so that you are able to determine the proximity of various locations in an instant. This analysis can be the ideal companion to the route planner by allowing you to first determine which locations it might make sense to visit on a particular journey. With the The Drive Time Polygon tool, you can quickly visualize the driving distances between locations on your customized map. As with the Proximity Tool, this can serve as a useful precursor to mapping out your path with the route planner, as it allows you to see what locations it would be feasible to include. Once you start using the lasso tool with your route planner, you’ll wonder how you ever organized anything without it. It gives you the opportunity to highlight a specific area by manually sketching it out. You can then optimize routes within that area, export only that selection or apply criteria to that unique data set. And start plotting out the next journey in your future! Root canals should be painful. Route planning doesn’t have to be.